What is a Time Attack Mode? 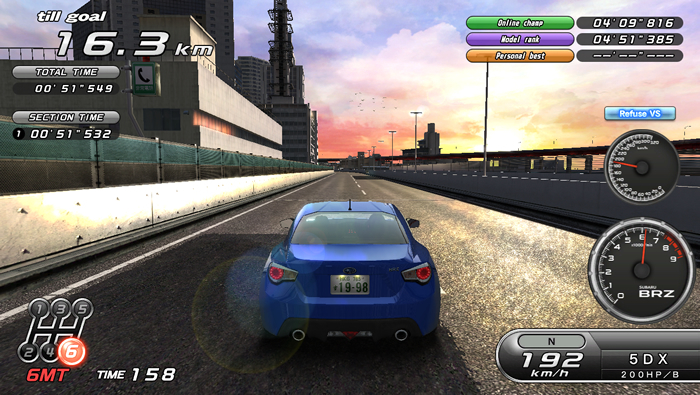 Time attack is the game mode where you race alone on the course and compete against the clock. 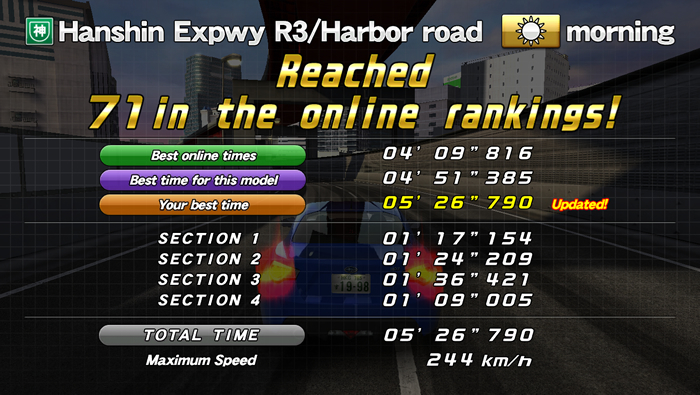 Your time result will be displayed if you complete the time attack within the time limit. The game will end when the time is up if you're unable to complete the race within the time limit. Improve your personal best, and it will be displayed on the screen if it's within the top 100 for that vehicle type across the country. *When choosing the "Metro Hwy," an additional coin is required.If you're interrupted while running the "Metro Hwy," the additional coin becomes invalid. 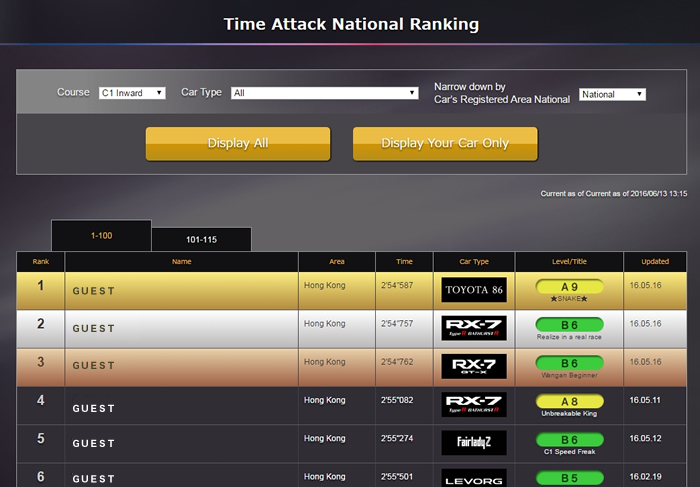 During Time Attack, if you rank in the top 1,000 nationally for a given course or vehicle-type you’ll automatically be registered in the Internet ranking.